As part of our twentieth anniversary celebrations Philosophy Now created a new annual award for Contributions in the Fight Against Stupidity. Nominees can be philosophers, authors, scientists, journalists, playwrights or anyone else who has made an outstanding recent contribution to promoting knowledge, reason or public debate about issues that matter. Philosophy Now editor Rick Lewis described the purpose of the Award in greater depth in his editorial, ‘Against Stupidity’, and in an article inThe Telegraph, ‘The world’s biggest problem is stupidity’. We are delighted to announce that the 2015 Award for Contributions in the Fight Against Stupidity will be presented to Cressida Cowell, the author of theHow To Train Your Dragon series of children’s books. She will be the first children’s author to receive the Award. After considering several very strong nominees for this year’s award, the panel decided that nothing combats stupidity in the world more effectively than encouraging children to think. Children are great thinkers and their intellectual abilities are all too often underestimated. In a cultural environment in which children’s natural curiosity and critical spirit are easily dulled and slowly replaced by couch-potato conformity, Cowell’sHow to Train Your Dragon books stand out not only for their humour, excitement, and startlingly vivid descriptive language, but also, more surprisingly, for their profound meditations on complex political, historical, emotional and moral themes. They incite children to reason and to question, and inspire their imagination and inquisitiveness. For this reason the panel decided to award the 2015 Against Stupidity Award to Cressida Cowell. The Award will be presented during the Philosophy Now Festival on Saturday 21st November 2015 at Conway Hall, 25 Red Lion Square, London WC1R 4LR. The event is free of charge and all Philosophy Now readers and members of the public are very welcome. You don’t need a ticket, though in the event of overcrowding latecomers may have to be turned away. The prize is always a book token and a trophy. The Award is usually presented at Conway Hall in London, and whenever possible is followed by an acceptance speech by the winner. The programme for the first-ever Loogabarooga Festival of children’s illustrated literature includes appearances from some of the nation’s favourite children’s authors and illustrators. Events at the Loogabarooga Festival will include workshops with children’s favourites such as Korky Paul, illustrator of Winnie the Witch; Caroline Holden-Hotopf, illustrator of the Adrian Mole books; Nick Butterworth, author/illustrator of Percy the Park Keeper and The Whisperer; Knife and Packer, illustrators of Fleabag Monkeyface; and Steven Butler, author of Diary of Dennis the Menace. Loogabarooga Festival will take place in Loughborough from 22-26 October 2015 and is based on the theme of ‘incredible illustrations and brilliant books’. As well as appearances from some of the nation’s favourite children’s authors and illustrators, it will also showcase new and existing illustrated literature for children through a series of workshops, events, readings and activities. The Loogabarooga Festival is organised by Charnwood Borough Council in partnership with Leicestershire County Council, Leicester Shire Promotions and supported by Arts Council England, Love Loughborough and Loughborough Building Society. IBBY UK committee is delighted to announce that the following titles have been nominated as the UK Honour Books for the 2016 list. IBBY UK members and publishers put forward a wide range of exciting books for consideration, so the selection process was animated and the nominations panel was impressed with the high quality. All three nominated books explore issues that are relevant to IBBY’s overall aims. Phoenix skilfully integrates comments about our contemporary world - on war and peace, prejudice, borders and barriers to migration, political and moral questions - into a fast-paced and exciting science fiction narrative. The Promise locates its strong environmental message within a worldwide context and offers a message of hope based on individual activism. Anton and Piranha explores issues of friendship and fitting in with the lightest of humorous touches in a delightful translation. The books will become part of the 2016 collection alongside works from more than seventy member countries. These will be introduced at the IBBY Congress to be held in New Zealand in August 2016 when diplomas will be presented to the nominated authors, illustrators and translators. A catalogue of the collection will also be produced. The IBBY Honour List is a biennial selection of outstanding, recently published books, honouring writers, illustrators and translators from IBBY member countries. The IBBY Honour List, established in 1956, is one of the most widespread and effective ways of furthering IBBY's objective of encouraging international understanding through children's literature. Seven parallel sets of the books circulate around the world at exhibitions during conferences and book fairs, including the Bologna Book Fair in 2017. Permanent collections of the IBBY Honour List books are kept at the International Youth Library in Munich, the Swiss Institute for Child and Youth Media in Zurich, Bibiana Research Collection in Bratislava, at IBBY in Tokyo and Northwestern University Library at Evanston, Illinois. A new competition that challenges people to create a poem about reading and books to inspire young children is being launched by the National Literacy Trust in partnership with Bloomsbury Childrens Books. The Poetry Prize is live on the National Literacy Trust website now and runs through until 31st August 2015. All forms of poetry are welcome, from sonnets to free verse to rap. Entrants must be over the age of 16. Poems can be up to 16 lines long and written in English (although translations are welcome). Using reading and literature as inspiration the winner will receive an iPad, a selection of Bloomsbury titles and will see their poem feature in a poster campaign sent to schools across the UK. The winning poem will be selected by a panel of judges including authors Sarah Crossan and Tony Bradman, Commissioning Editor for Bloomsbury Hannah Rolls and National Literacy Trust Director Jonathan Douglas. Sarah Crossan, author of One and The Weight of Water, two novels written in verse said: "Poetry is the first language we speak. When we are born, we own it and we love it but somehow, along the way, children turn away from this, the most primitive of languages. It's everyone's job to make sure children feel that poetry belongs to them - which is does." 100% of entry fees go towards the work of the National Literacy Trust which equips disadvantaged young people with literacy fit for employment and life. Announcing the winner of CLiPPA 2015 - Joseph Coelho! Check out our Facebook group for photos of the event! The first ever Book Trust Lifetime Achievement Award winner is the author and illustrator of more than 200 cherished children’s books, Shirley Hughes OBE. The English Association have been promoting the exceptional power of the picture book since 1995. The Picture Book Awards celebrate the unique marriage of word and image, recognising that a captivating text intertwined with creative and eye-catching images bring a book to life in a very special way. The 2015 Awards will be presented to the winning authors, illustrators and publishers at the English Association’s AGM on Wednesday 27 May at the British Academy in London. 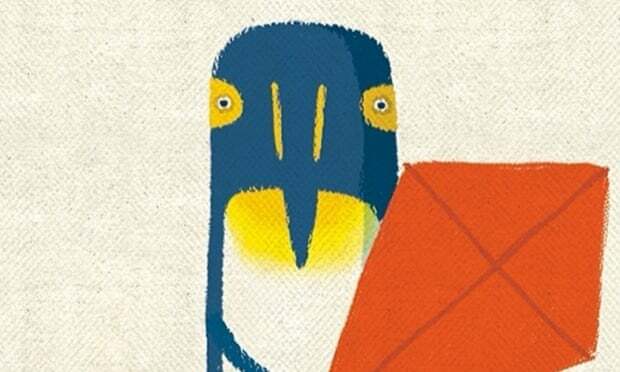 An adventure story about Penguin Blue and his friends’ unplanned trip from the Antarctic to the jungle (and back) has won the Waterstones children’s book prize. Blown Away is Rob Biddulph’s first book, and he wrote it after telling the stories to his daughters at bedtime. He also works full time as the Observer Magazine’s art director. Blown Away, which also won the best illustrated book category, is only the second picture book to take home the £5000 Waterstones prize. The prize has been running for 11 years and champions new and emerging talent in children’s books. Rob Biddulph fought off stiff competition for the overall Waterstones prize from Sally Green who was crowned winner of the best book for teenagers with Half Bad. Half Bad is the first part of a fantasy trilogy set among a society of warring Black and White Witches. Sally Green’s debut novel was tipped to be great before it was even published. It broke records by being translated into 25 languages pre-publication but, according to our reviewer Firebird, Half Bad “fully lives up to the hype”. Read Firebird’s review here and check out the first chapter of Half Bad. The sequel to Half Bad, Half Wild, was published today (read the first chapter here) and one of our site members has already given it a glowing review, which you can read here. Also look out for an interview with Sally going up on the site on Friday morning. The winner of best young fiction was Robin Stevens with Murder Most Unladylike, the first in the author’s series of boarding school mysteries, featuring schoolgirls Daisy Wells and Holly Wong of Deepdean School for Girls. Read this review from site member Kung Fu Kitty, who said once she started reading Murder Most Unladylike, she could not put it down. A sequel, Arsenic for Tea, was published in January with the third in the series, First Class Murder, due in July. As category winners, Sally Green and Robin Stevens take home cheques worth £2000. Congratulations to all the winners and all the shortlisted authors. 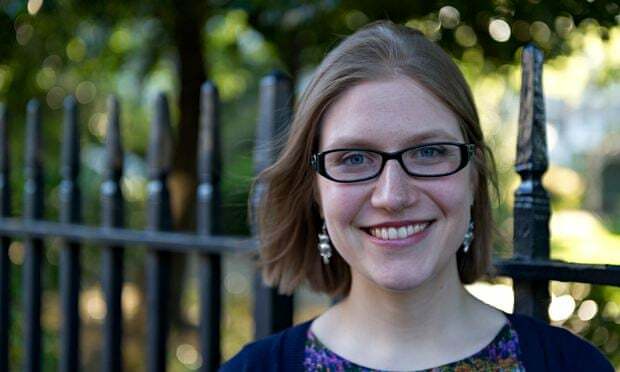 Guardian teen site member TheReaderRunt will reporting on what happened at the Waterstones children’s book prize party on the site very soon – so look out for that! The Book Marketing Society announced the winners of the Best Marketing Campaign of the Year Awards at the end of the Nielsen’s BookInsights Conference today. The Book Marketing Society (BMS) was founded in 2004 to champion marketing professionalism in the book publishing industry; the Society is now part of Nielsen Book. The BMS runs three Seasonal Best Marketing Campaign Awards each year to reward the very best campaigns within the industry. This year’s Annual shortlists are drawn from the winners of the Seasonal Awards in 2014, where campaigns must display outstanding innovation and creativity, the ability to reach and engage with the target audience and a good return on investment. Ross Collins, Alex McCall and Cathy MacPhail were today announced as the winners of the 2015 Scottish Children’s Book Awards during a special ceremony at Edinburgh’s Assembly Rooms, attended by 600 children. Scotland’s largest book prize for children’s authors and illustrators (each winning book receives £3,000), the Scottish Children’s Book Awards are voted for exclusively by children and are run by Scottish Book Trust and funded by Creative Scotland. Over 28,000 votes were cast in this year’s awards, which are judged in three age categories - Bookbug Readers (3-7), Younger Readers (8-11) and Older Readers (12-16). Children across Scotland were encouraged to read the three shortlisted books in their age category and to vote for their favourite. A free copy of each of the Bookbug Category books was gifted to every Primary 1 child as part of Book Week Scotland 2014. Glasgow-based author and illustrator Ross Collins won the Bookbug Reader’s (3-7 yrs) category for the illustrations in picture book Robot Rumpus, written by Sean Taylor. Published by Andersen Press, Robot Rumpus is a hilarious exploration of what might happen in a world where robots cater to our every need. 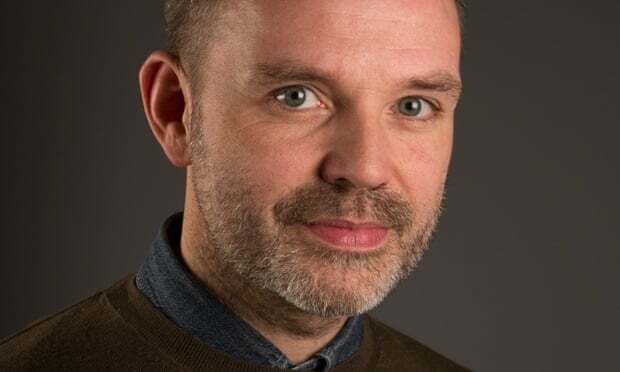 Ross is the author and illustrator of over 100 picture books, and is a previous winner of two Scottish Children’s Book Awards – one in 2008 for Billy Monster’s Daymare and another in 2011 for Dear Vampa. Growing up, Ross attended Primary and Secondary school in Shawlands and then studied illustration at Glasgow School of Art, where he won the Macmillan children’s book prize in his final year. He also works in character development for animators such as Disney and is a regular at the Edinburgh Book Festival. Kintore-based debut author Alex McCall, one of the youngest published authors in Scotland, won the Younger Readers (8-11 yrs) category for his first novel Attack of the Giant Robot Chickens. The book, published by Kelpies, is a hilarious story packed with adventure and chicken jokes. 21 year-old Alex, who grew up in Kittybrewster, wrote the novel in just 6 months after being inspired to put pen to paper when author Caroline Clough visited his school in 2013. Alex currently splits his time between promoting his book and studying Filmmaking and Screenwriting at the University of the West of Scotland in Ayr. This inaugural book has already won the 2013 Kelpies Prize. The sequel, Revenge of the Giant Robot Chickens, will be published by Kelpies in July. 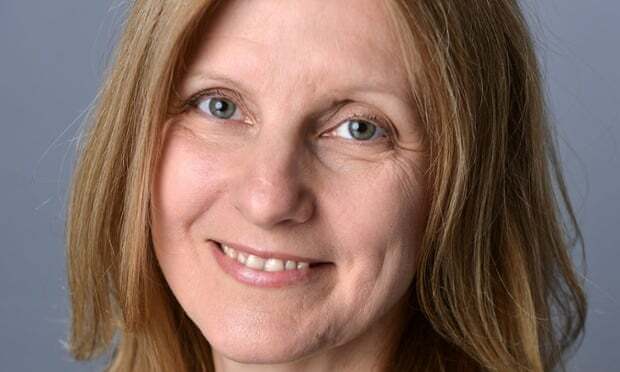 Greenock-based author Cathy MacPhail, also a previous winner of two Scottish Children’s Book Awards (in 2006 for Roxy’s Baby and in 2010 for Grass) won the Older Readers (12-16 yrs) category for her young adult thriller Mosi’s War. Published by Bloomsbury, it is a taut, brilliantly written novel set in Glasgow which explores the terrifying world of child soldiers. Cathy was born and grew up in Greenock where she lives to this day. It wasn’t until her daughter became the subject of bullying that she was inspired to write her first children’s book, Run, Zan, Run. This won the 1994 Kathleen Fidler Award for new Scottish Writing. Cathy went on to win many other awards including a Scottish Arts Council Book Awards for Fighting Back. Her other books include Fugitive, the Nemesis series, Grass and Underworld among many others. She is currently Patron of Reading at Falkirk High and an Ambassador for Children First. The total prize fund is £12,000, with the shortlisted authors and illustrators receiving £500 per book, and the winning authors and illustrators receiving £3,000 per book. The Scottish Children’s Book Awards are not only about reading but also about writing: the popular Book Review Competition attracted hundreds of high quality entries from budding journalists and authors all over the country, hoping to win book tokens for themselves and an author visit for their school. The list of 2015 winners is available here <insert link>. We have 5 hardback copies of David Walliams new book Demon Dentist to give away to new subscribers, All you have to do is subscribe to Carousel during March and you will automatically be entered in the prize draw. The 5 lucky winners will be drawn out of the hat in April 1st (Not an April fool lol). You will be notified shortly afterwards. UK Subscription is only £13 for a year and the book is £12.99, so there's never been a better time to subscribe. Good luck! The London Book Fair (LBF), the UK’s biggest gathering of international publishers and agents, has announced a Call for Entries for itsAgent One-to-One programme and The Write Stuff competition, which are part of a whole range of initiatives on offer in Author HQ - LBF’s home for writers and aspiring writers, sponsored by Kindle Direct Publishing. Agent One-to-One meetings will give authors an invaluable opportunity to talk directly to an agent from a leading literary agency about their books, seek advice about any stage of the writing process and receive direct feedback on pitches and ideas. Back for another year,The Write Stuff, a Dragon’s Den-style panel event, will see ten authors pitch their books to a panel of literary agentsin front of an audience in Author HQ, for the chance to win a follow up meeting with an agent. Each pitch will be a maximum of 2 minutes long, with agents providing on-the-spot feedback. Author HQ, launched as a response to increasing interest from the self-publishing community, is now one of the most popular features at the Fair. There will be plentyon offer there for both established and aspiring authors, including a three day programme of seminars, curated by Midas Public Relations. Now in its fourth year, the Author HQ programme has been designed to provide the knowledge, tools and insight writers need to make informed decisions about getting their work published in a world where conventional and self-publishing opportunities offer an ever expanding number of routes to market. A stellar line-up of industry experts including publishers, writers and agents will be taking the stage to share their secrets of how to get published successfully, and a number of authors will also be on seminar panels to share their personal experiences. Further details on the Author HQ seminar programme line up for 2015 will be announced at the end of February. The London Book Fair has moved to its new venuefor 2015 - Olympia, West London, which means a new home for Author HQ too, which will be located on Level 1, Olympia Central. Visitors for Author HQ should access the Fair via the Olympia National Entrance. All Author HQ @ LBF events are free-to-attend with the purchase of a three-day LBF pass which costs £35 (if booked in advance). Seminars are on a first come, first served, basis. Authors are advised to arrive early to avoid disappointment. For further details on how to enter for a place on either the Author One-to-One programme or The Write Stuff, please visit www.londonbookfair.co.uk/authorhq.